With 3 small children in my house, I have limited time to read, much to my dismay. I figured out a way to keep up to date on current events in the Catholic Church, bond with other Catholic women, and learn more about my faith by using my computer, iTunes and my iPod touch. Over the past few years, I’ve become a podcast junkie. Instead of plopping down in front of the television, you’re more likely to find me with headphones on, pushing the vacuum around the house. Listening is one of my favorite ways to learn, and it’s easy to push the rewind button if I’m interrupted. Ready for some recommendations? There’s sure to be a selection on this list you would enjoy. 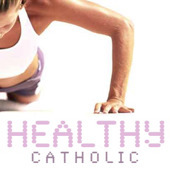 Ready to become healthier and holier? Join in with Father Roderick Vonhogen, director of the SQPN Catholic network. He’s a couch potato turned marathon runner — sure to inspire even the least motivated. 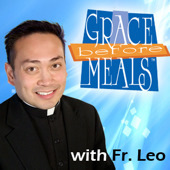 This podcast series contains a forty day boot camp – perfect for Lent. Hosted by Raymond Arroyo, this fast paced podcast will keep you up to date with the latest in Catholic news and current events. You can also check EWTN for older episodes. Pat Gohn hosts this podcast for Catholic women, with a two-pronged approach. She highlights a saint in the “Blessed are They” portion, while the “Among Women” segment interviews women from all walks of Catholic life. 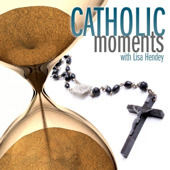 Join with Lisa Hendey as she discusses all things faith, family and fun from a Catholic perspective. She also has regular contributors such as Deacon Tom Fox, and Sarah Reinhard. 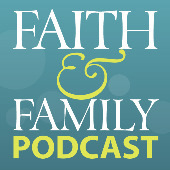 Hosted by the mom bloggers at Faith and Family Live, this podcast strives to support and lift up all Catholic mothers. I first heard Deacon Tom Fox on Catholic Moments, where he has a regular guest appearance. Deacon Tom hosts this podcast with his wife, Dee, to give us all a dose of our daily spirituality. Ready to learn? Fill your iTunes with Father Riccardo, and you’ll be well on your way. This series of podcasts include his homilies, but be sure and scroll down to hear his talks for RCIA, Tapping on Theology, and more. 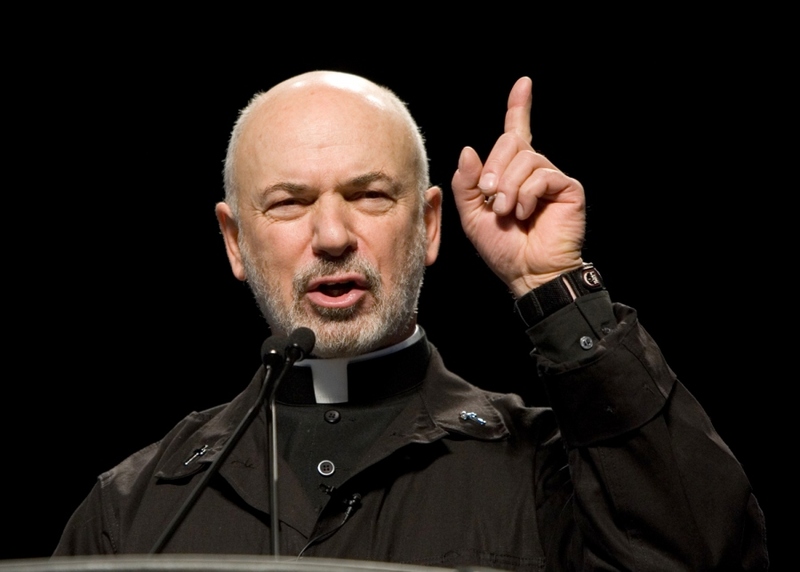 Don’t miss “Common Ground”, an interview that Father John did with a evangelical pastor to explain and dispel some of the common myths about Catholicism. Want to connect your family? 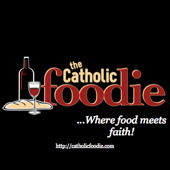 Jeff Young hosts this wonderful podcast, “where food meets faith”. More than recipes, Jeff stresses the importance of building our families around the kitchen table. Fire up your grill, and get ready to bless your family with delicious food. Father Leo Patalinghug encourages us to draw our families into the kitchen, where he shows us how to make healthy and delicious meals. He’s also the only priest with the distinction of beating Bobby Flay in a fajita throwdown! Not for the faint of heart, Father Corapi, former Army veteran, has an amazing gift for evangelization. Start with his conversion story, and move on from there. Be sure and leave a comment, and let me know what your favorite podcasts are! When she’s not plugged into her iPod while training for a half marathon, you can find Dianna writing over at The Kennedy Adventures. There, she discusses all things faith, family and fitness. Don’t miss her weekly link up, Saints and Scripture Sundays. You’ll also see her on Twitter. His homilies are usually around 10 minutes…but they stick with you! I DO love Father Larry, too. I particularly like his Confession talk. Your link for Fr. Corapi isn’t working. I saw Fr. Leo on that Throwdown, I enjoyed that episode. Darn it! It looks like the site has been hacked! ARGH! I really enjoy the Catholic Answers podcast (free via iTunes or the Catholic Answers website). It offers a good variety of topics. I have been Catholic almost 20 years but feel so much better informed about our Faith after listening to the CA podcasts. I’ve listened to those in the past as well. I have to end my list at some point ….. I have over 650 podcasts in my iTunes library at the moment! Great list! And I am so excited to have been included! I am so glad you enjoy the show. And I am very impressed with the great work you are doing at catholicmothersonline.com. I’ll make sure to give you a shout-out in episode 112. Thanks so much, Jeff! We’re all just trying to spread the word about our marvelous Faith! Thanks for all the hard work you do! Thanks for the shout out, and for all you have done here at CMO! Wow, we are honored to be included in this list of 10 favorites! Glad you are taking your weekly dose of Catholic Vitamins! Thanks, Dee! I love listening to you and Deacon Tom! Thank you for these wonderful recommendations. I really like Abiding Together & ❤❤❤Catholic Stuff You Should Know. Available on iTunes.